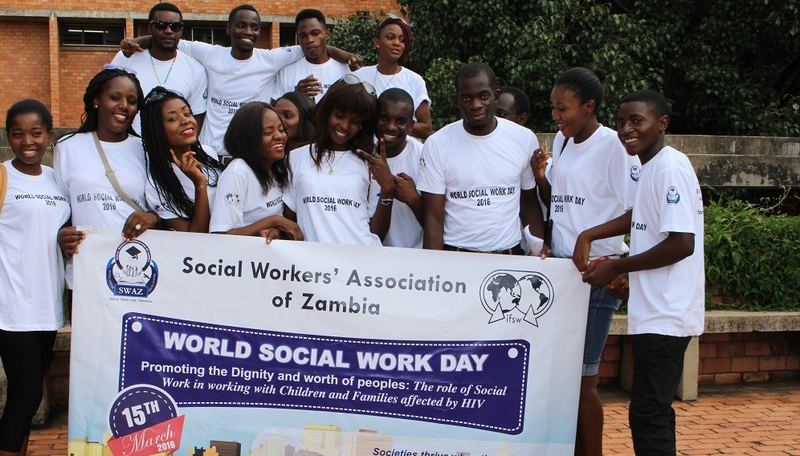 In celebration of World Social Work Day, the Global Social Service Workforce Alliance is sharing events, resources and learning opportunities to drive advocacy efforts and actions for strengthening the social service workforce. Every year, World Social Work Day is celebrated the third Tuesday of March, and events are organized throughout the month of March. This year, World Social Work Day is on March 19. The day is an opportunity for social workers and others in the social service sector to celebrate their achievements as well as to raise awareness and support for the important role that social workers play in the lives of vulnerable families and communities. The day calls attention to the need for further planning, development and support to the profession and social service sector. Read about events planned globally. The Alliance hosts an annual symposium to provide a forum to discuss efforts to strengthen the social service workforce. Collecting and analyzing data to better understand the social service workforce is fundamental and foundational to creating informed advocacy. Regional panels of speakers representing a variety of stakeholders will provide examples of how they have used new evidence and recommendations to better support advocacy efforts and to design and implement strategies to better plan, develop and support the workforce. Speakers and breakout work sessions will also make connections to global trends and progress toward achieving the recommendations within the Call to Action. The Symposium will include the launch of the 2018 State of the Social Service Workforce Report which provides a comparative look at social service workforce development in four regions. Participants will be able to join in person in Washington, DC, and via live webcast from any location. View the full agenda and register now to attend in person or online. 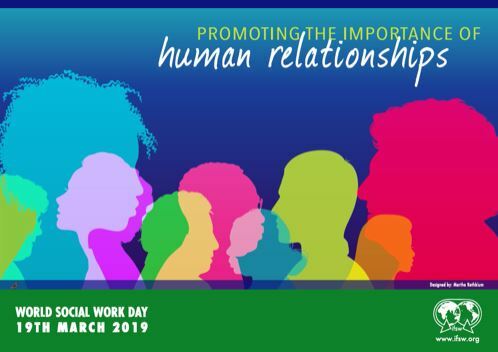 Many national associations and organizations around the world are hosting events today and throughout the month of March to call attention for the need for greater support for social workers and other social service workers. Read about events in Bulgaria, Cambodia, Cyprus, Finland, France, Georgia, Greece, India, Japan, Lativa, Nepal, Sierra Leone, Singapore, Sri Lanka, Sweden, Switzerland, Thailand, United Kingdom, United States, and many other national and global activities. A number of materials have also been developed to help in promoting the workforce today and throughout the year. If you are participating in an event, we encourage you to submit photos, quotes and stories. View a listing of events taking place and download resources. The Alliance will present during the Global Social Welfare Digital Summit on March 20 at 10:30 am ET on the topic "Innovative Approaches to Advocating for the Social Service Workforce." Join online to learn about materials and methods to advocate in your country to government and decision-makers. Speakers comprised of Alliance staff and Steering Committee members will provide an overview of the Alliance to serve as an orientation for newer members or new stakeholder groups wishing to become more involved. Presenters will share history on the development of the Alliance, existing tools and resources, and highlight current work underway. They will also share the many ways for members to become involved in supporting this work and how to engage with global colleagues. Following the presentation, speakers will answer questions from participants. This webinar is being held at two different times to allow for maximum participation by members across different time zones. Share resources, practical examples and ideas for effective advocacy by participating in the newly formed advocacy interest group. In order to strengthen the workforce and improve the lives of children and families, greater planning, development and support is needed to this frontline workforce. This group is currently gathering existing tools and resources and will then explore gaps and needs for being more vocal and sharing a common global message to advocate for this workforce. Learn how to become involved. 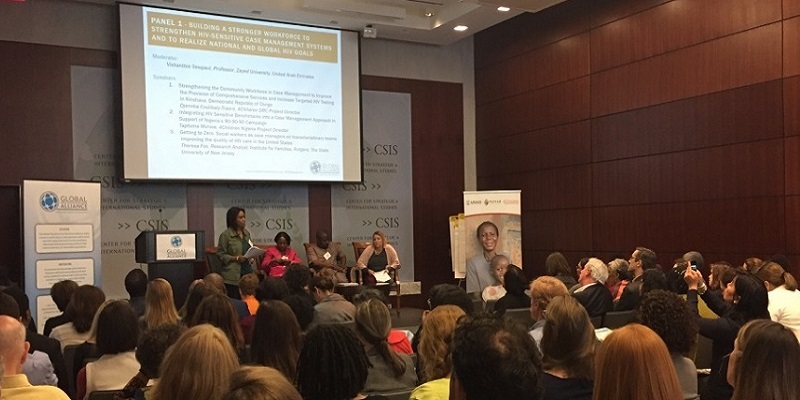 The Global Social Service Workforce Alliance works toward a world where a well-planned, well-trained and well-supported social service workforce effectively delivers promising practices that improve the lives of vulnerable populations. The Alliance pursues this approach by serving as a convener for a network of 2,200 members and stakeholder groups in 134 countries, advancing knowledge through dissemination of evidence-based research and tools, and advocating for workforce-supportive policy reforms. Learn more and become a member at www.socialserviceworkforce.org.